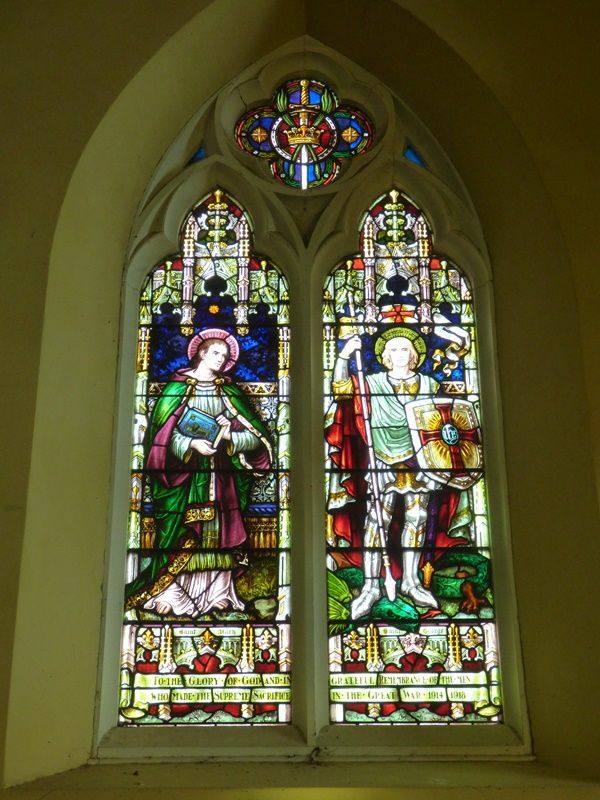 A stained glass window commemorates those connected with the church who died in service or were killed in action during World War One. A handsome stained glass window has been placed in position, at the cost of the parishioners of Holy Trinity Church, as a memorial to the 46 members and adherents of the church who were killed in the late war. The Bishop of Ballarat is to unveil the window next Saturday afternoon. The Ballarat Star (Vic), 7 February 1922.